Samsung may have unexpectedly pushed back the Galaxy X release date, but that doesn't mean it's done talking about its mouth-watering folding smartphone, which is feverishly anticipated, not least by us. Mobile chief DJ Koh this week explained why Samsung isn't rushing its origami-styled handset to market, although multiple other brands are lining up rival folding phones. 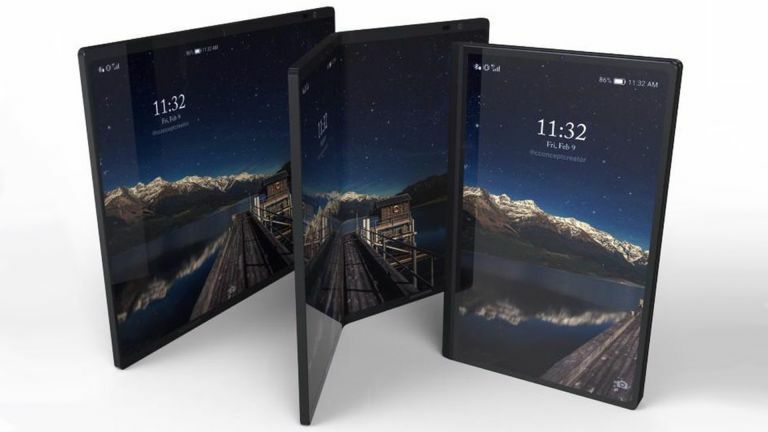 He also revealed the long-awaited flagship will offer similar functionality to a tablet when the screen is unfolded, while the folding mechanism will allow the handset to be packed away to a portable and pocketable size. In a new interview with CNET, Samsung mobile boss DJ Koh – who is not actually a DJ – talked about his ambitions for the new flagship phone, stressing that the foldability of the Galaxy X will not just be a gimmick, but will instead offer delicious new features and experiences for users. Folding the display will allow Samsung to deliver a lip-smacking screen, larger than 6.5 inches across, without asking smartphone owners to stretch their thumbs to impossible lengths in order to use it. According to DJ Koh, the smartphone will unfold to offer a tablet-like experience. Increasing the amount of screen real estate available on a smartphone is important, according to the Samsung mobile chief. When the company first launched its Galaxy Note series back in October 2011, the 5.3-inch display was widely mocked for its size. However, DJ Koh notes, after eight generations of the phablet, large-screen devices are now ubiquitous – with rival iPhone XS Max now offering a 6.5-inch display and Google Pixel 3 XL sporting a 6.3-inch screen. Samsung had pledged to unveil its folding flagship during its annual developer conference in San Francisco next month. However, the company has since played down those bold boasts, with a new release date of 2019 now mooted. "When we deliver a foldable phone, it has to be really meaningful to our customer," Koh told Cnet following the Galaxy A9 launch event earlier this week. "If the user experience is not up to my standard, I don't want to deliver those kind of products."